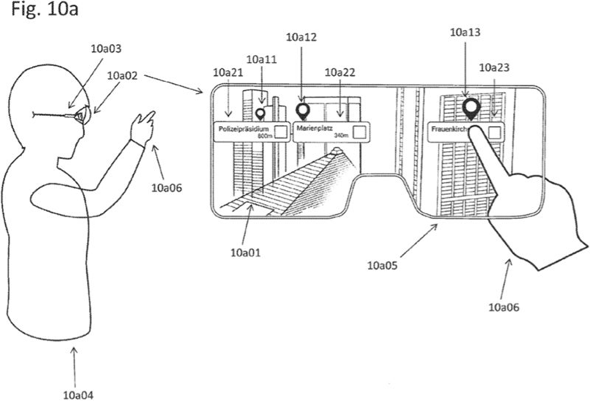 “Multiple reports suggest that Apple is developing an augmented reality headset or glasses that could be released by 2020 or 2021, and a newly granted Apple patent may provide some broad clues about potential features,” Joe Rossignol reports for MacRumors. MacDailyNews Take: Once Apple’s augmented reality smartglasses are released, people are going to want to wear them during every waking hour. I’m so sick of wearing reading glasses, constantly on & off, why would I want to constantly switch between no glasses, reading glasses and AR glasses? “Hey Siri, adjust my iEyes for reading.” No problem. OMG! A notch in the display for your nose! !